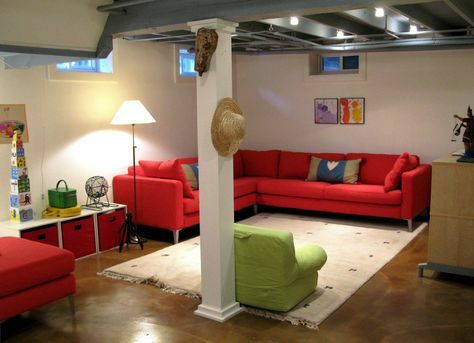 There are 4 basic basement flooring ideas to choose from. 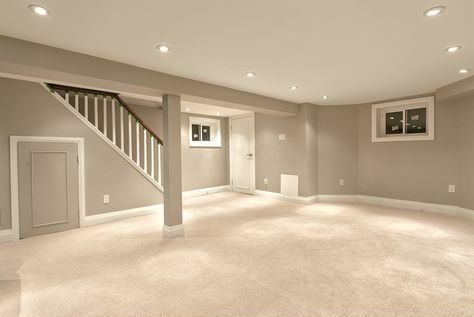 Carpet basement floors can leave something to be desired, but check out all the options here! 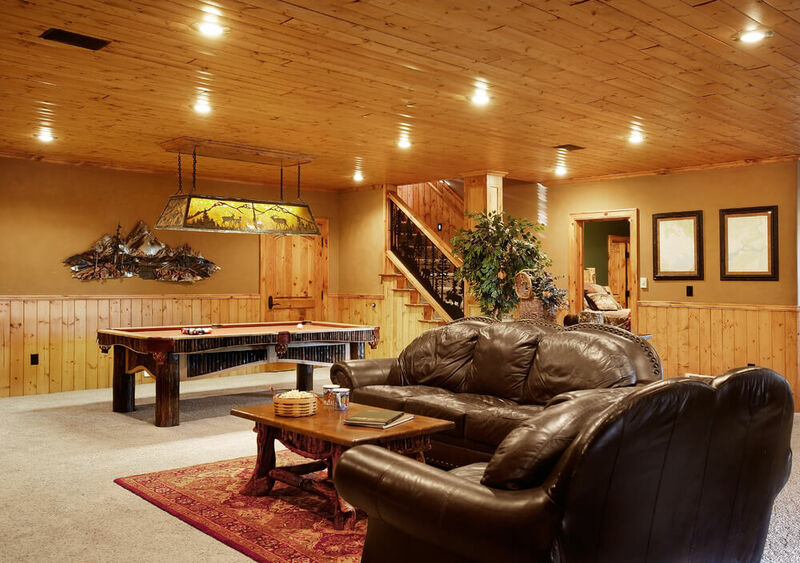 There are several options when it comes to basement flooring types, and trying to decide on the flooring for basement spaces may seem like a complete matter of personal design preference; however, it is important to consider your environmental conditions and the type of use you want to get from your basement. 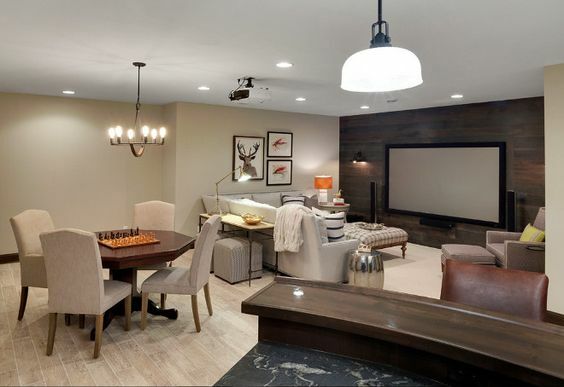 I’ve gathered some of the most common options for basement flooring along with tips and advice for each flooring option. 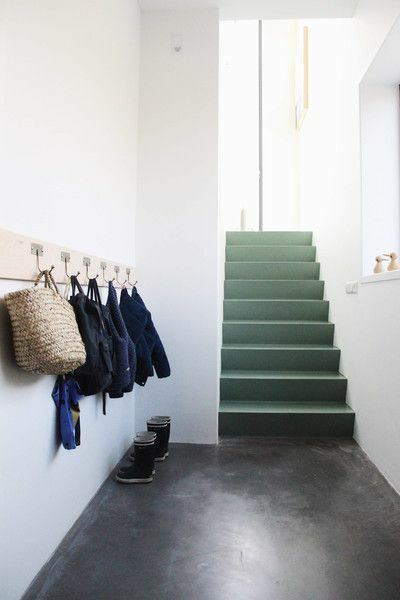 Using the concrete slab as the basement flooring option for your space is probably the most least expensive and most simple option to choose. 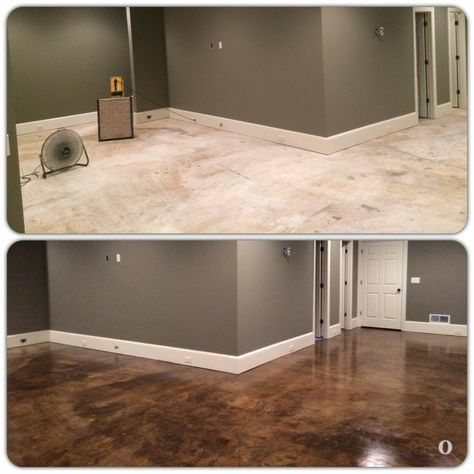 The average concrete slab can be sealed with just one gallon of a can of paint or stain. You could choose to cover your slab with an epoxy sealant, which is a more expensive option than paint or stain, but the epoxy is much more durable and will need to be replaced far less than paint or stain. In a home with typical wear and tear, the paint or stain would have to be replaced every three to five years. Another option for covering your concrete slab is to cover it with another thin layer of concrete and use stamps to make a decorative pattern to create many different types of faux finishes (i.e. brick, pavers, wood, etc.). 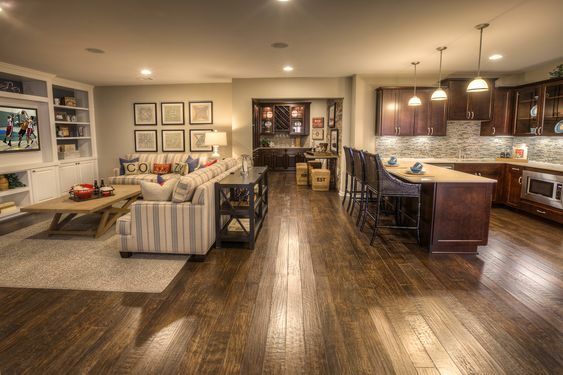 Most builders and re modelers would not recommend installing true wood floors when considering basement flooring ideas. 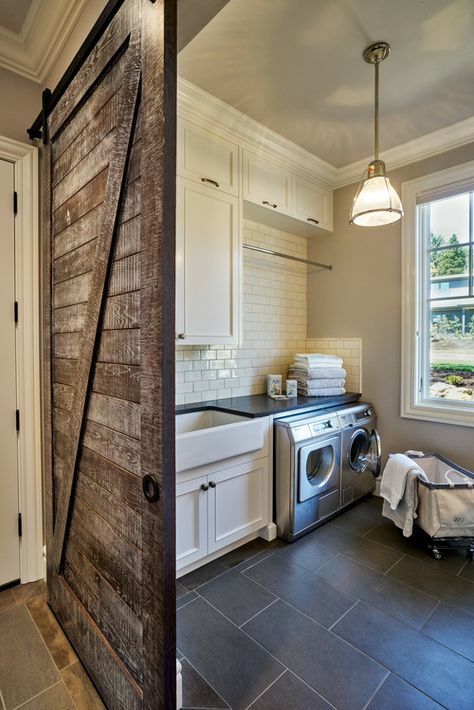 Engineered wood are planks have a thin veneer of solid wood on top of plywood. 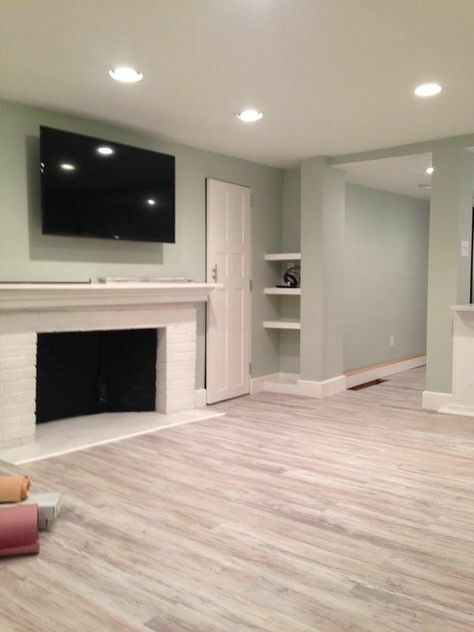 These planks of engineered wood are more stable than traditional wood flooring which would expand and contract with temperature and humidity changes that often occur within a basement. 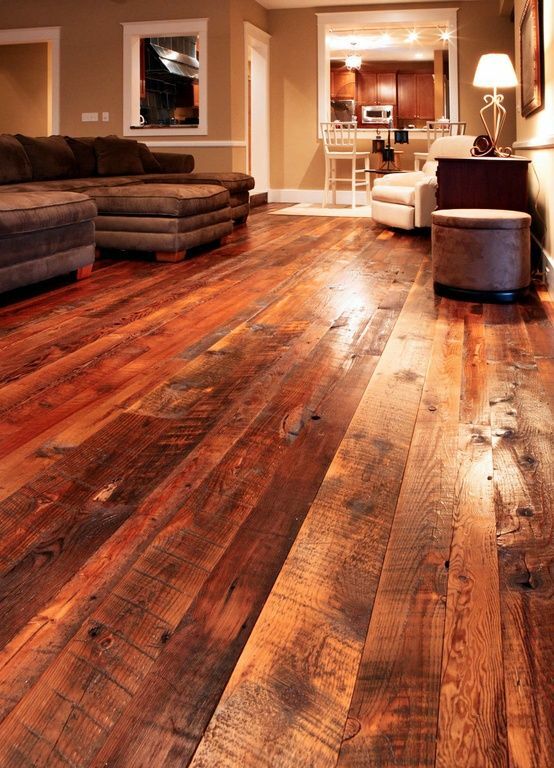 This expanding and contracting of a traditional wood floor will most always result in unsightly cracking and chipping. Another flooring for basement option is to go with carpet. Carpet is a generally quick and easy install, and it will help maintain the warmer temperatures that are hard to come by in the sub-level/commonly cold basement spaces. If you choose a low pile carpet, then you won’t have to worry about wear and tear showing as much as with cut-looped or shag-like carpeting. There are even do-it-yourself options for installing carpeting that consist of using carpet tiles with an easy to use peel and stick backing system. 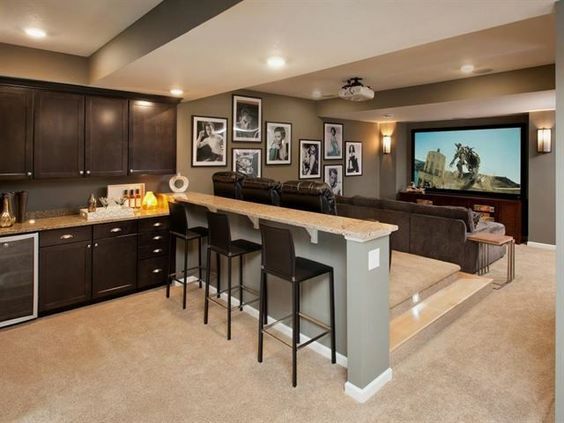 See basement and man cave furniture ideas here. 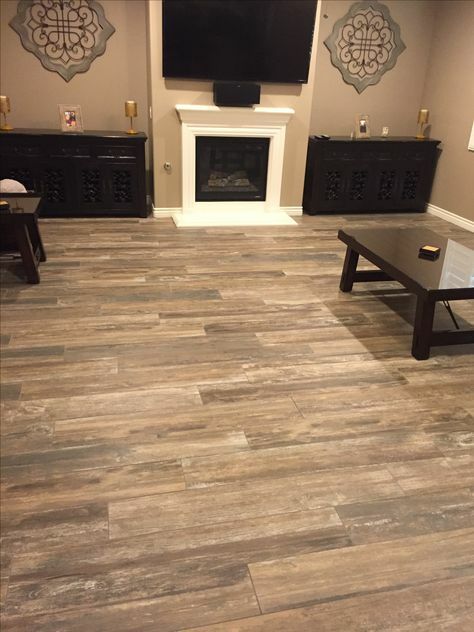 If you want to consider another really durable option for your basement flooring, then tile is definitely an option you should research. 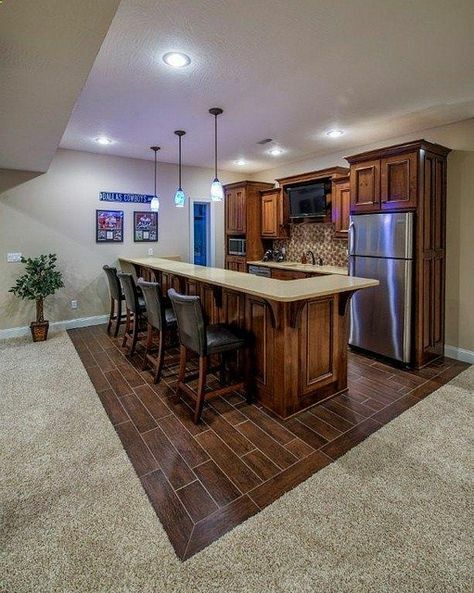 Tile flooring is incredibly durable and a great option if future water damage is something that you are concerned about. A tile floor can withstand any amount of water damage, because it will simply dry out and be undamaged after all the water recedes. 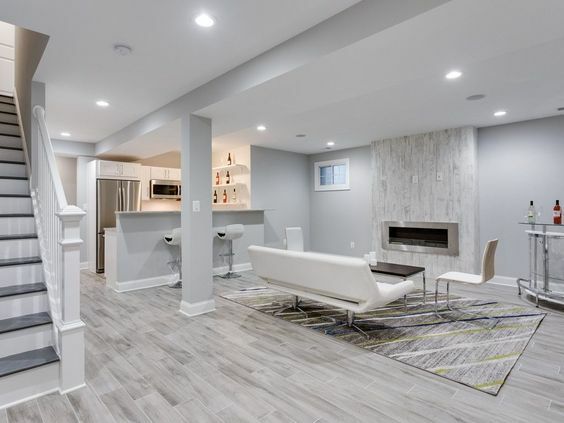 As with any home design plan or renovation, when considering basement flooring ideas make sure that you are honest about your own skill level and know when to call a professional. 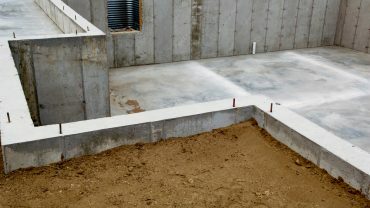 You want to make sure you know whether or not you will need some type of barrier between your basement flooring of choice, or if you can install it straight on top of the concrete slab. 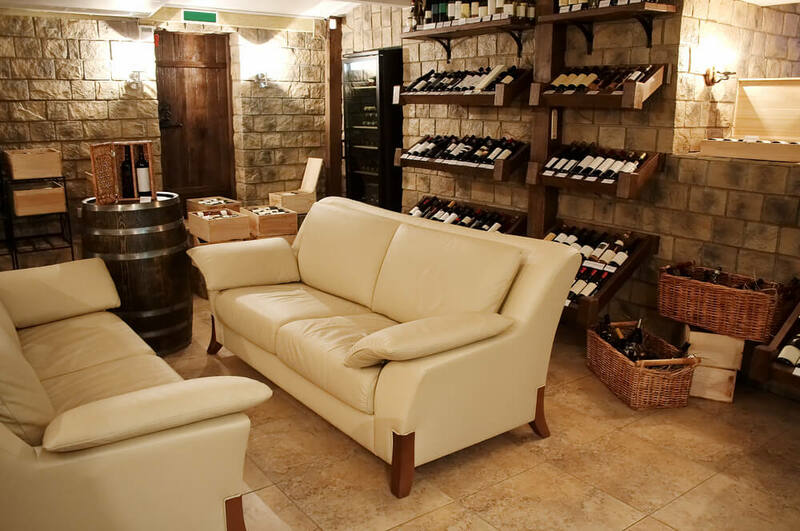 You should also make sure that you candidly assess the purposes you want to get from your basement space and choose a type of basement flooring that will help you get all the uses you want out of your space!